the single player mode is one of the options I'm currently looking at implementing as part of the next updates. I didn't get this feature in the Jam version, but I am working on improving the game . Thanks for the quick reply, I could try out the HTML version successfully, worked fine. Greetings. 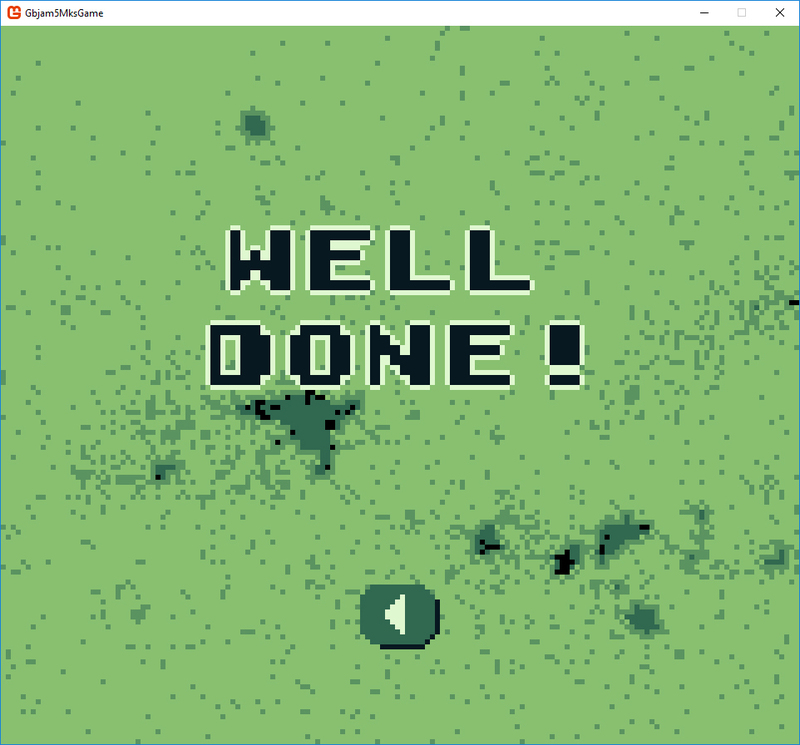 Very well done, from the intro to the 3D world and the controls to shoot at the missiles! I liked the IR missile lock-on sound being a flight sim fan myself. It took me a moment to understand the way to shoot down the missiles but it works fine and the visuals clearly show what is going on and when. I was happy to see a 3D entry and thought it nice that there were different difficulty levels available and a very nice title to clearly show the theme of the game. What a beautiful execution overall and the vector graphics are absolutely great! I didn't manage to use the controls to steer the ship well but I think the game 's style is very unique and memorable. Well done! Hey there! I coudn't run this game due to a virus warning while downloading it so I can't play and rate it, sorry. I like the title screen though and it promises something interesting to come. Very nice game and quick to pick up! I am also a fan of the shader effects as well as the speech samples, cool. Nice implementation! I appreciated the title screen with the information on playing, it really helps to understand what comes next. I also thought the visual design of the sprites showed their function clearly, i.e. if they were dangerous or beneficial to the player. I did miss some good sounds as feedback to getting hit but I feel the version of the game and controls as implemented allowed me to enjoy the experience. Love the graphics and theme, especially the backround! I had some issues getting the bounce in any diagonal direction and would have like a fitting clowny or circus sound effect for the bounce but I had a positive visual impression in all, nice one! Wow, very good level graphics and ambient atmosphere here! Although it ran extremely slowly on my laptop, I felt the idea and execution were spot on, so well done there! The quality of the music was good but I would have wished something more in line with the water theme, slower and more dreamy/wavy. If you do create DLCs for this, please write some details regarding that in your game page description, I would be interested to see what you would add in. Cool! The graphics and music were good and I got into the controls quickly as it was very simple to play. I had some issues with the boulder physics in 1 player and it said I had 3 boulders left although I couldn't see any, but I feel the main idea of the game came across very well and it felt right so that is what counts! Nice game and well executed. I liked the explanations of the controls to get into the game quickly and also that there was a title screen with credits and a level selection etc. The graphics are exactly as they should be to communicate the game feel and the horns of the cars bring an urgency which drives the excitement and draws me in as a player. I thought the fade in at the start of the round was a bit slow/long and wasn't sure what was happening the first time it occurred but it went well trying it out after that. The collisions ingame were exact and as required. Very well done! I love the controls and it felt like a very good variation of the game as it would have been available on the system in those days. It does what it intends to but a bit more fluff around the main game , such as a title screen or so would have been cool. The unpacking to get the game was a bit harder than it needed to be and may put someone off but that's just a side note. The feel of the game was great fun, nice! A good adaptation of the original source I thought, the controls and feel are spot on though I would have wished for more patterns in the bricks and frame, seeing the whole game was monochrome already. I'm not sure why I only got half the screen but it was very playable as is so I'm not complaining. Nice story told in a few words. I loved the art and simple to learn controls. GG. Hi there! If you want to enhance your experience with NOE, try it using a DXInput compatible XBox 360 controller which it's really designed for, the keyboard controls are only a fallback. Very authentic and I love the jet exhaust sound! I found the jet controls a bit sensitive initially but I like the execution and it stays true to the game type from those days. Nice! Game done and uploaded... Have fun all for the time remaining on the event. I'm looking forward to trying out all the games here which will be submitted. Cool! Alien Breed top-down is always a good idea ;-) I think the sprites above really nailed the perspective, looking forward to trying the controls. I would prefer to work with an artist but I do enjoy doing the drawings myself. Looks great, will love to try it out when it's done. Nice. Nice tiles and graphics style. Also the gameplay seems quick and responsive, cool. Great idea and the mood of the game really fits with the graphics and theme. Looking forward to trying this. Nice. I like the color palette and interesting visual style, nice one! 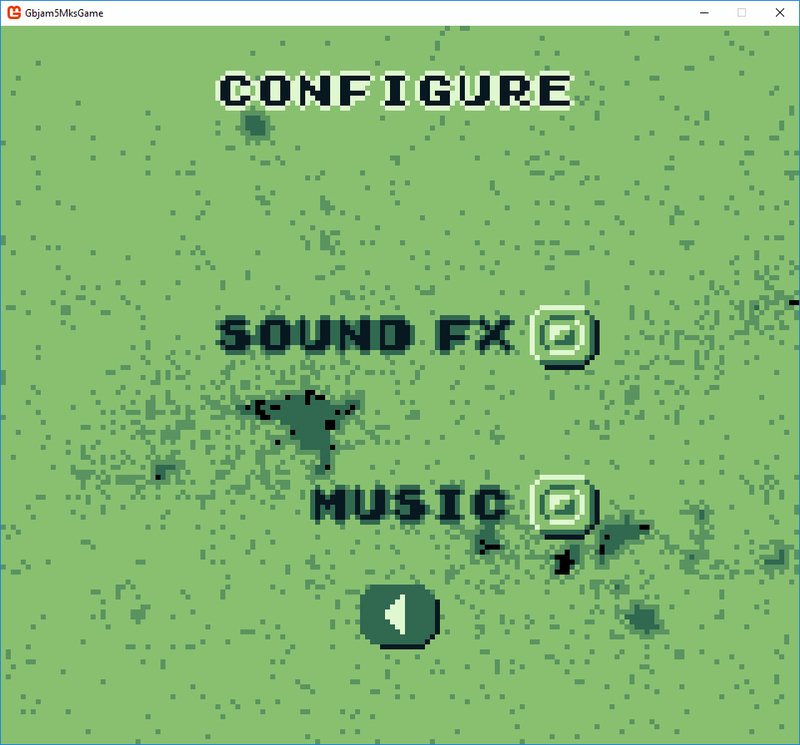 my entry is a Zaxxon-style 2D isometric scrolling shooter using C#/Monogame, Photoshop/GraphicsGale for the Art, Tiled for the levels and various standard itch.io SFX and music tools. After Day 1 & 2, the basic game structure is up and the various game screens and the preliminary content is setup. With Day 3, UI and menu navigation was added to all screens. 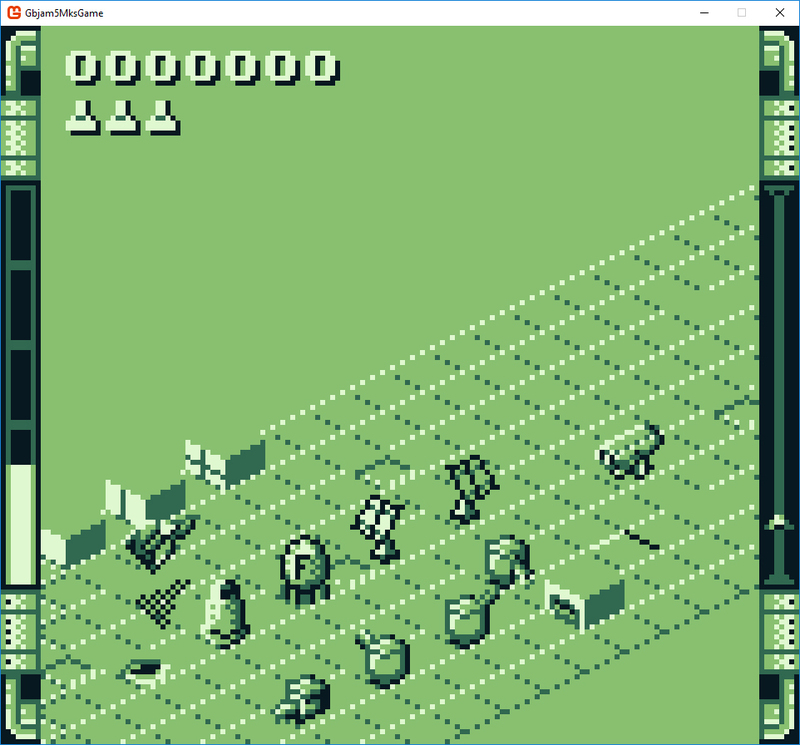 Also, some enemy structures and aircraft have been drawn and animated partially implemented. 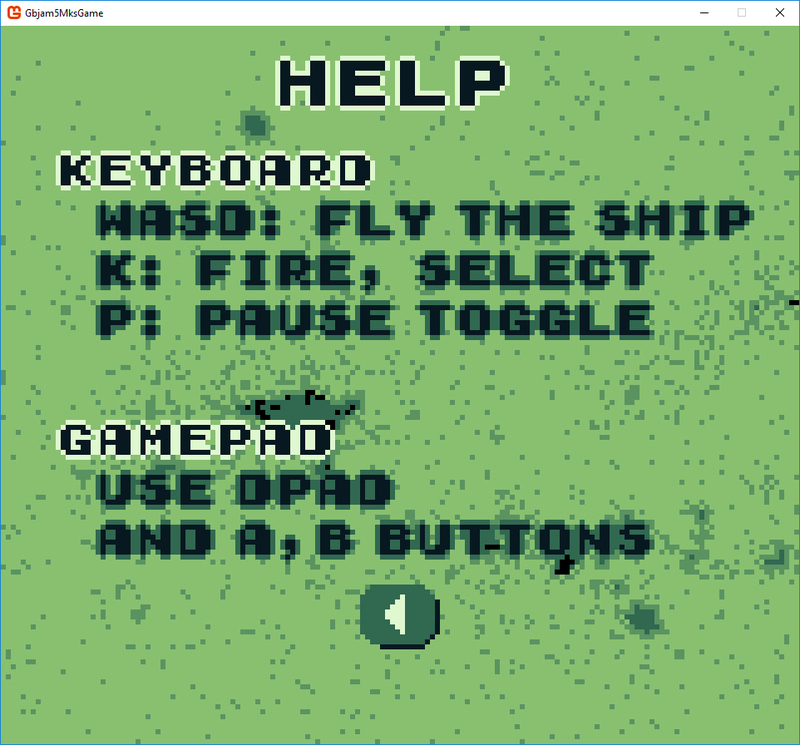 Day 4, about 3 hours worth, was just used to create the map item system used by everything on the map (enemies, structures, effects, projectiles). Day 5 brought a lot of bugfixing the terrain collision, which sadly, didn't work by the end of the time. Day 6 came with the player shooting and various types of explosions needed depending on what gets hit in the levels. Also, some code refactoring was done to make implementing the enemies and their shooting easier. 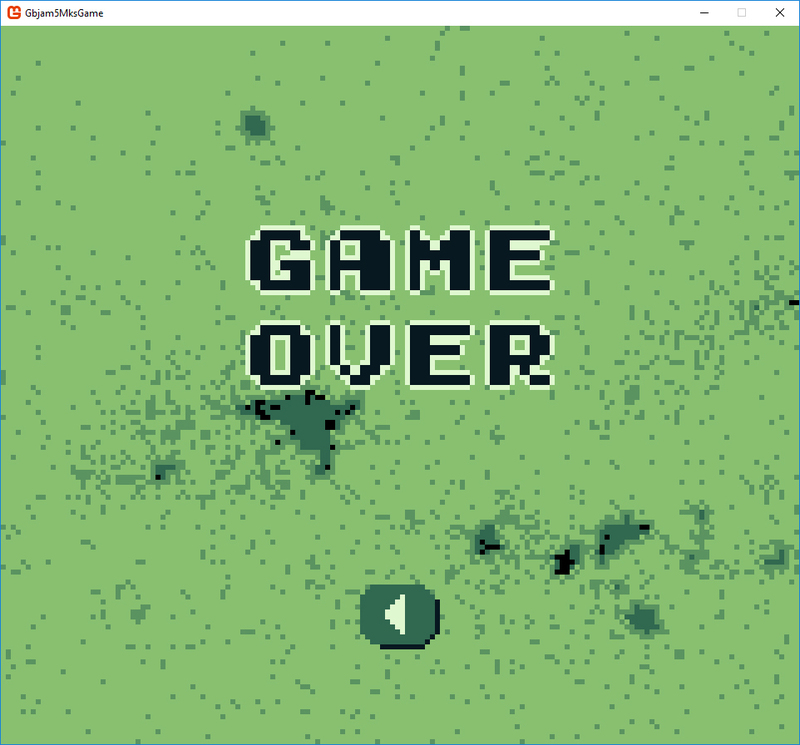 On Day 7, the player/terrain collision and enemy structure and ground force destruction was implemented. The scoring for that was also done. 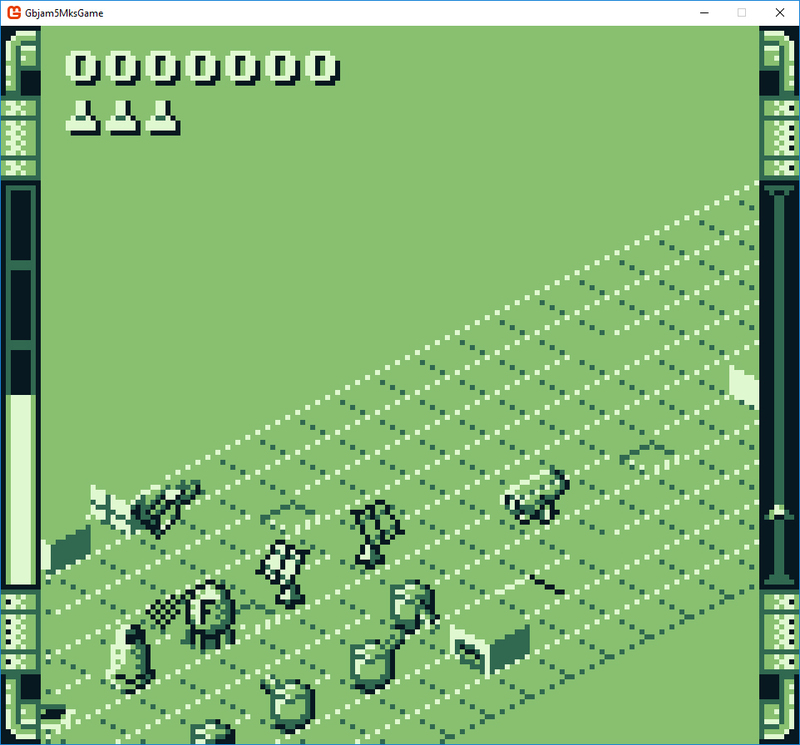 The framework for 15 levels and the move from level to level was coded with the game being lost when all lives are gone. With Day 8 the ground enemy shooting and Game Pad control was implemented though the number of levels was reduced to 5 from the inital 15 to give me more time to design them and account for the lack of enemy variety which would have needlessly stretched the gameplay but doesn't bring anything new to justify doing so. Sadly, due to lack of time, there won't be any air enemies or bosses in. Day 9 is for final adjustments, the SFX (no music though) as well as the packaging and submission. Apart from the SFX there are no new features planned for the last day. 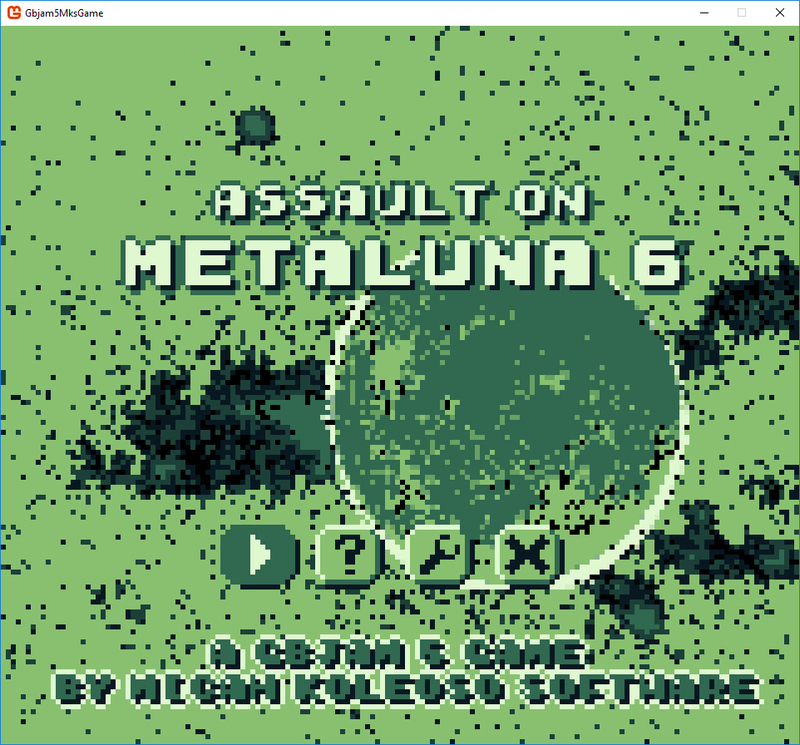 I'll am tracking my development progress for the game here as well as providing a game page http://www.micahkoleoso.de/?page_id=559 for it at my site with further information and downloads after the jam. Also, I'm streaming development evenings (CET+1) at my Twitch channel https://www.twitch.tv/hairein. There will be a Windows version submitted here at the end of the jam. I'm hoping to publish builds for MacOS and Linux soon after that. Good luck and have fun all! 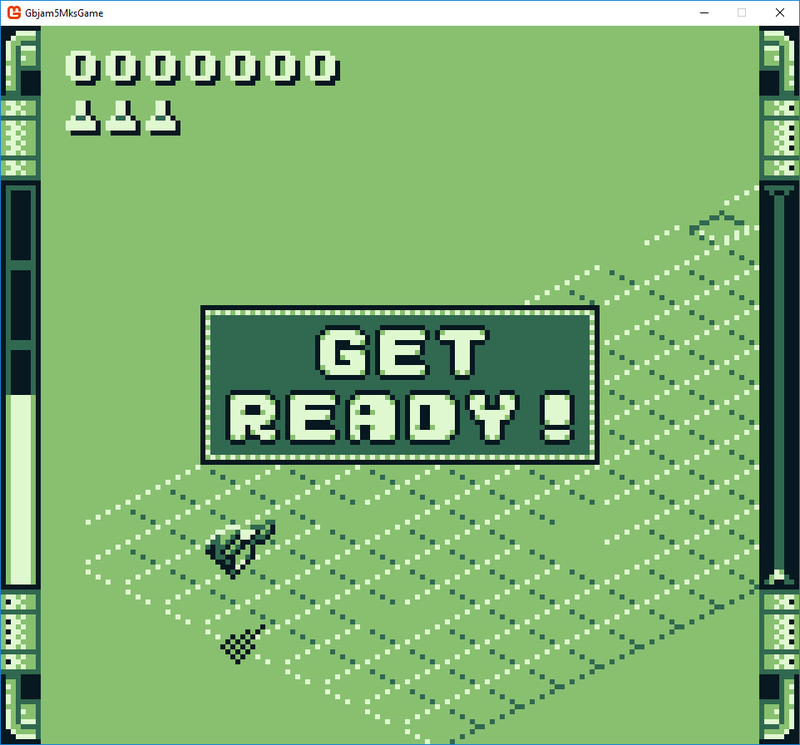 GBJAM 5 community · Posted in Challenge Accepted!